Medieval silver penny, possibly of Henry V or VI, 1413-1461AD, York mint. The coin has been pierced. 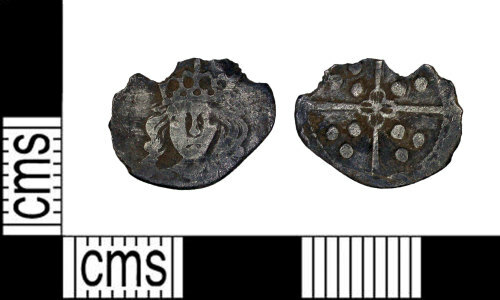 Medieval silver farthing of Henry V or VI? mint unknown, 1413-1461.